I’ve been painting an assortment of things since the beginning of the month in a vain attempt to reduce the lead mountain. 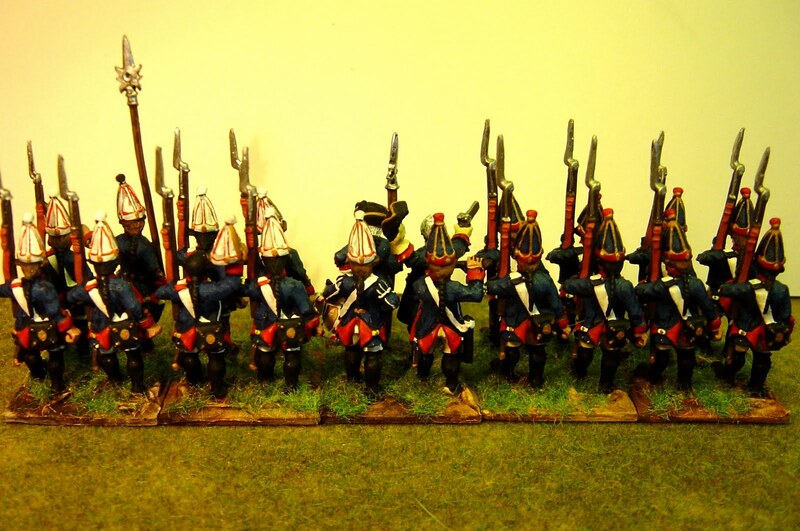 Here are two Prussian converged Grenadier battalions from the WAS/SYW period, all Foundry figures and 25/28mm. 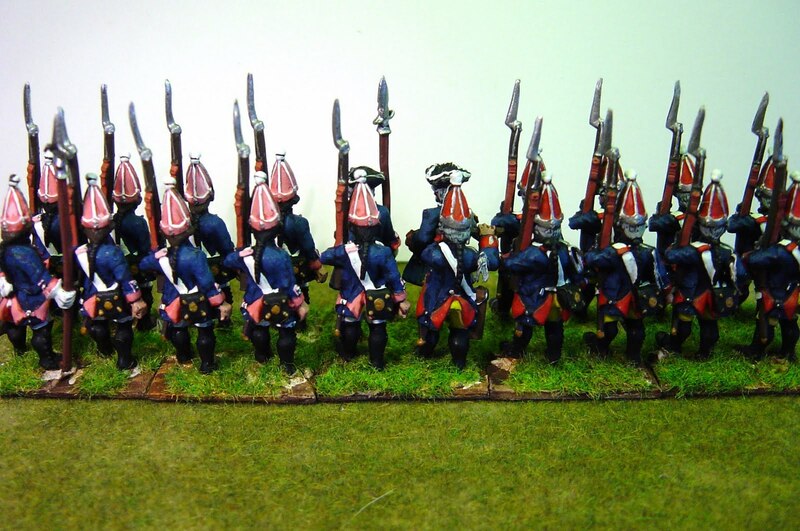 The top two pictures are front and rear views of the grenadiers of Regiments 12 and 26. These were not actually converged during the SYW but saw some action together in the earlier period. 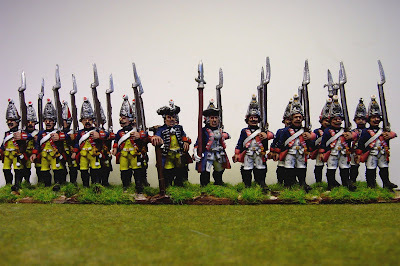 By the SYW the pairing of grenadiers into battalions seems to have been fixed in concrete whereas in the WAS they seem to have been thrown together on an ad-hoc basis that might change from battle to battle. 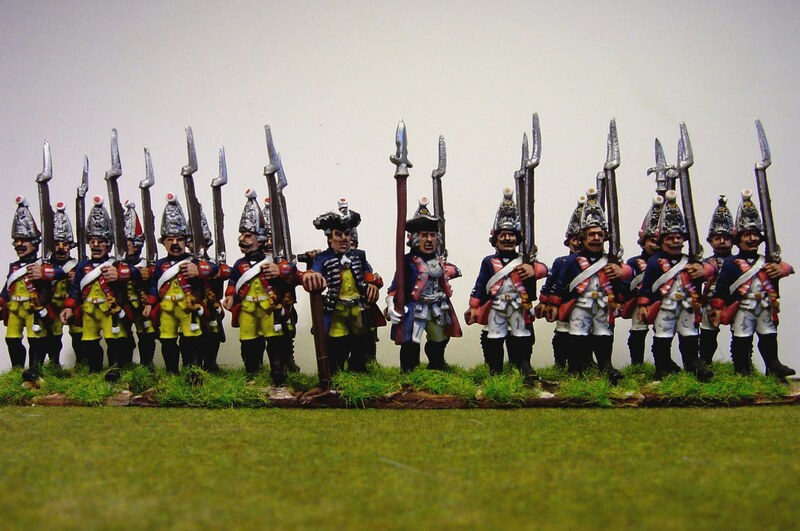 The lower pair of pictures show Grenadier Battalion Bülow, grenadiers of II/III of 15 and those of 18. My personal preference is to have mitres of the same colour (either all brass or all silver) but my personal taste seems at odds with Frederick’s own view where button colour was less important than massing his battalions by district. Most of his battalions have mitres of mixed colours so he clearly was not a complete aesthete! Very nice. 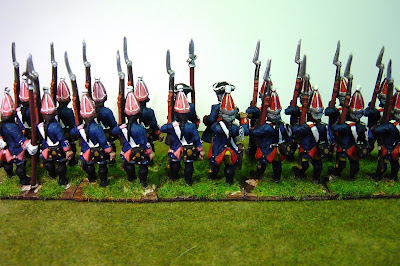 I did Gren Bn Bulow myself... albiet in 15mm and with only 12 figures. Love the pink facings though! Drove my Austrian opponent nuts. I agree with you, its all about the aesthetes. What did Frederick know anyhow? 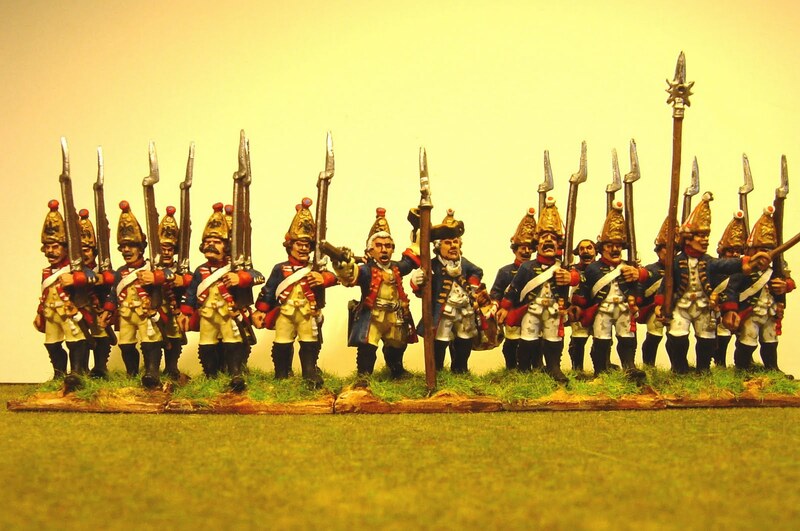 Beautiful battalions, Nigel. I do like those earlier Foundry Copplestone sculpts, and you've certainly done them justice. 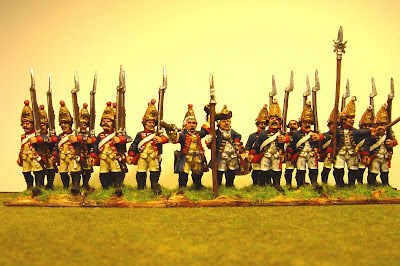 How big if your Prussian army now?